110 volts - and alternator being installed. This is the boat for the Big Fish Angler in you. Capable of offshore fishing trips this boat has many large tuna and marlin landings under her belt. This boat was re-engined with brand new Yanmar 440HP diesels which have run for just 355 hours. Her deep V hull and super-powerful engines means she can stay on the fishing grounds long after other boats have scurried back to shore. This boat is ideal for 2, 3 or 4 mad keen anglers to share. 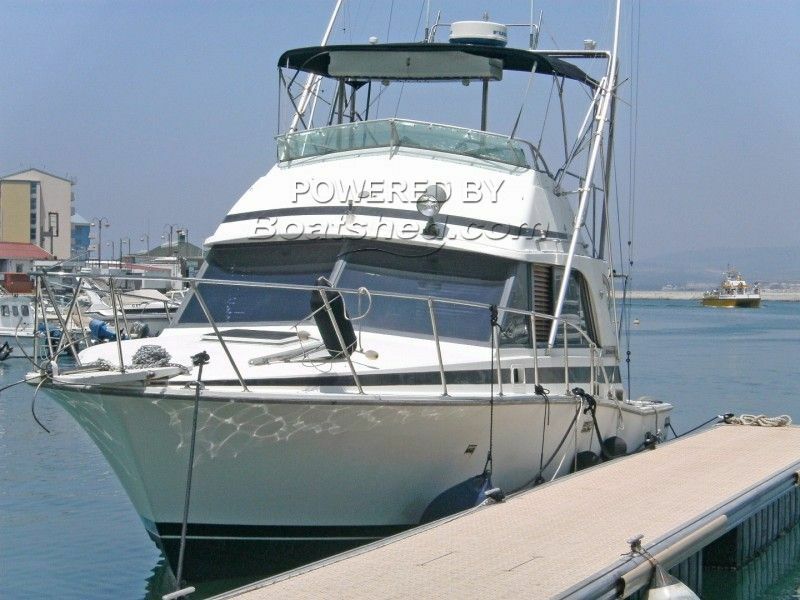 This Bertram 33 Flybridge Cruiser has been personally photographed and viewed by lynda@boatshedgibraltar.com of Boatshed Gibraltar. Click here for contact details.